Вы услышите диалог дважды. Определите, является ли следующее утверждение верным, или неверным, или о нем нет информации. Mark is quite an obstinate and untidy person. Todd: Hey, Jeff, this is a very nice room. Jeff: Hmm. It’s comfortable and cozy. It’s in Japanese style. Todd: I like it. It’s got the tatami mat, and some beautiful vases. Oh, you have a pretty small kitchen. Do you live alone? Jeff: Right now I have a friend of mine staying with me. His name is Mark. He’s my childhood friend. Todd: Oh, really, sort of a room-mate. Jeff: Sort of a room-mate, yes. Short term, he’s staying with me short-term, so yes, a room-mate. Todd: OK, how’s that going? Jeff: Ah, I don’t like it. Jeff: He’s lazy. He’s messy. He doesn’t exercise and eats junk food. And well, you know, Mark contributes nothing to the household budget. He’s so careless. Todd: Oh, so he lives here and he doesn’t cover his living expenses. Jeff: Well, yeah. But what annoys me most is that he’s lazy, and he doesn’t do much all day. Todd: That’s got to be pretty irritating. Jeff: He’s a great fellow. He’s a good friend of mine, but, yeah, he’s a disgusting slob, I try to encourage him to do a few things but he’s a tough one. He doesn’t want to do anything. Todd: Are you going to tell him he has to move out? Jeff: Ah, no, he’s a smart man. He knows the deal. He knows what’s going on, and I think he’s, yeah, I would never ask him to move out because I don’t mind having him here but I’m just going to try to whip him into shape. Todd: Oh, so you’re just going to try to change him so he becomes a better roommate? Jeff: I’m going to try to, yeah, try to get him a better schedule, a better schedule (yeah) like exercise and eating right and smoking less and watching TV less. Todd: Well, what is his schedule? Jeff: Ah, his schedule is, he’s like a night owl, when he goes to bed I go to work. He stays up most of the night watching TV, and then he sleeps most of the day recovering, and then when he gets up he has a headache. He’s a bit sluggish and slow. It’s not a healthy option. Actually, I would like him to take up some kind of sport or sports games. Todd: Yeah, but it doesn’t sound like it’s going to happen. Good luck. Jeff: Thanks. I’ll probably need it. He is a tough one. He's messy. When on business trips Lisa doesn’t have to work long hours. Well, when I go on business trips my working day is up to 14 hours. In terms of my workload, it’s a lot busier than when I am at home. Mike’s father retired because of his poor health. Interviewer: So Mike, you mentioned your family, do you have a big family? Mike: No, I have a fairly small family, actually, including me there are only four people in my family. Int: Oh, and your sister. OK, is your sister younger or older than you? Mike: She’s younger. She’s just started university actually. Int: OK, that’s nice. So where does your family live right now? Mike: Ah, my mother and my father live in Victoria in Canada and my sister is on the other side of Canada in Montreal in Quebec and I live in the capital. Int: Well, tell me about your father. What’s your father like? Mike: My father is pretty much the most interesting person I know. He tells different kinds of stories about his childhood, and his growing up. Int: Did he grow up in Canada? Mike: No, he grew up in Liverpool, in England. Int: OK, nice, and what does your father do? Mike: Ah, he was a pilot until five years ago. It was kind of tragic, he had a heart attack and he wasn’t allowed to fly anymore. Mike: He’s fine now, yeah. Int: OK, what about your mother? Does she work? Mike: No, she doesn’t. She used to work. They both worked for Cathay Pacific airline. My mother was a stewardess and my father was a pilot. She was first introduced to him as a new member of the crew when they flew together to Osaka. Int: Oh, what a story. OK and what about your sister? You said that she’s a student. Mike: She’s a student. She’s in her first year in McGill University which is in Quebec. I haven’t spoken to her lately so I don’t know how she’s doing. Int: So you and your sister, are you similar or quite different? Mike: Oh, we are definitely quite different. Mike: I was a rebellious type. I pretty much laid the foundation for my sister to get all the freedoms that she has — Mum and Dad treat her differently now. But she doesn’t appreciate any of those things. Another way that we’re different is that she’s really into arts and drawing and painting and making music whereas I’m more into the technical side of things, like computer making, fixing cars. Int: So it sounds like you are quite different. Well, maybe she’ll listen to this and she’ll appreciate you more. He was a pilot until five years ago. It was kind of tragic, he had a heart attack and he wasn’t allowed to fly anymore. Ruth thinks that people behave differently in big cities in Ireland. John: I'm sorry, what was your name again? Ruth: My name is Ruth Archibald. John: OK, Ruth, are you from Ireland? John: I’ve noticed your slight Irish accent. Ruth: Really? I thought I lost my Irish accent after moving south, from Ireland to Spain. John: What was it like going from Ireland to Spain? Ruth: Ah, it was a depressing change I guess. I had longterm friends back home, you know, friends from school, and there were some boys and girls I’ve known since I was born. I needed to make new friends and to find a place to hang out. But it’s OK now.
' John: I’ve never been to Ireland. What’s famous about Ireland that you can tell me about? Ruth: Probably the most famous things are Guinness and Irish clog-dance — dancing in wooden shoes. John: Do you dance in wooden shoes? Ruth: Unfortunately not. I think only a few people can do this. John: I’ve heard that people’s manners are pretty rough and ready in Ireland. Is that true? Ruth: No, I don’t think so. I think it depends on where you go in Ireland. In the capital, yes, maybe people are a bit less polite, but in the countryside they’re very warm and friendly. John: OK, so if I went to a bar or a disco in Ireland, would there be any risk of getting into trouble? Ruth: I don’t think so. No. No. It’s really safe. You don’t really think that all Irish people are rude and short-tempered. John: Oh, no. No.... And where exactly are you from? Ruth: I’m from a place called Bray, which is maybe an hour’s drive from the capital, Dublin but far away from the main industrial centres. It’s clean and calm. John: What is the geography like? Ruth: It’s pretty flat. There are some hills but none of them are very high and the area around the city has been intensively cultivated — there’s a lot of farming, particularly beef and dairy products and also sheep. There are lots of sheep. John: When are you going back? Ruth: I’ve just been there. I went back in December for three weeks, so at the moment I have no plans to go home in the near future, but maybe sometime in September I’ll go again. John: Maybe I’ll go and visit it sometime. Ruth: Definitely. It’s really good. It’s a really nice place to visit. I think it depends on where you go in Ireland. In the capital, yes, maybe people are a bit less polite, but in the countryside they’re very warm and friendly. Tini is ready to meet the difficulties of the real world. John: Tini, you’re a student, aren’t you? John: Do you like to study? Do you like your student life? Tini: Of course. You know, I like studying although I’m not that much of a bookworm, like some of my friends who can’t imagine their lives without reading, but yes, Hike studying. I like spending time with my friends, and I just like my student life. John: Now, soon, you’re going to graduate, correct? Tini: Yes, fortunately or unfortunately, yes. John: Well, why would you say fortunately? Tini: Fortunately in the sense that, you know, it’s about time to get out into the real world and, you know, earn some money. But unfortunately in the sense that all of these precious memories, like you are putting them all behind. John: Yeah, soon they are going to be over. Tini: Right, and then you have more problems and responsibilities as soon as you step into the real world, which is understandable. I don’t mind this but no more spring vacation, no more summer vacation, this is tough. John: Actually, that’s why I’m a teacher. People always ask me, why are you a teacher, John? And I say because of the time off. You get so much time off, and you don’t have to work a 9—5 schedule. Tini: Yes, that is a very smart choice, I think. John: Yeah, but you make no money. Tini: Well, but you know you can be fresher and that’ll keep you young forever. John: I don’t know about young forever but it does... you do feel energetic when you’re a teacher. I do agree. Well, you know, you can also become a teacher. Tini: Well, actually, I’ve given it a bit of thought but right now I’m really into the banking industry. Tini: Yeah, the financial services industry, and then probably I might like to give it a go. John: That’s going to be very stressful. Tini: It is, but you know, I pretty much like the fast- paced lifestyle and I’m quite quick-thinking and well-organ- ised. John: Good luck with banking then, you keep on with it. Tini: Thank you. It’s going to be really tough, I know. It’s about time to get out into the real world and, you know, earn some money. Peter prefers to work at his computer at home. Jane: Hello, Peter! What are you doing here in the library? I often come to the reading room but I have never seen you here before! Peter: Hello, Jane. That’s right — you could not have possibly seen me here. I come round to change my books or look through some journals now and then during the term time, but that is it. The end of the term is different, of course. Peter: Well, you know, the exams are coming and I am getting a bit nervous. Jane: Have you missed many classes then? Peter: Not many, really, but the fact is that I did just the bare minimum even for my major! There is a lot of information which went over my head completely. My group mates have lent me their notes but they are of very little use. They are really brief, as a rule, so I cannot make out a single thing of them! Jane: So, you have missed not classes, but opportunities if I can put it this way. Peter: I guess you can. Do you think I will be able to catch up with the rest of the group? I doubt it. I have been using my computer much to put all the information in proper schemes and tables but that does not seem to be helping much. Jane: It is totally up to you! If you are determined to succeed, you will have to spend days and nights with books and your computer. Peter: What worries me is the language course. It seems totally impossible! Jane: Yes, that will be the most difficult one for you. You simply cannot expect to take in all the words and grammar rules in just a few nights. Peter: Do you think I will fail it then? Jane: Peter, be more optimistic! If the teacher sees you have tried to do at least something, she will appreciate it, I am sure. Peter: Thank you, Jane; you are such a good friend! How about you? Are you ready for your exams? I bet you are! Jane: Actually, I am not so sure about Literature. I think I am on the teacher’s blacklist for not meeting deadlines with some of the essays. Peter: You will pass, do not worry! Jane: Well, let us hope for the best! In Finland people at university preferred to speak Finnish with Emily. Emily: When I finished school I went to university, Melbourne University, and studied science. I then gained my university degree and after that I worked in a heart disease research institute. At that time I decided to start my career in medicine. David: Did you work in Melbourne? Emily: Yes, in Melbourne. So I worked for a year, a bit over a year on different patient recovery programs. Then I wanted to have a break so I went travelling and I travelled through Western Europe and ended up in London and I worked at the hospital in an immunology lab and that was more diagnostic work. It was quite interesting. And after that I moved to Finland. Emily: And I did my doctor’s dissertation there. David: I’m sorry for interrupting, I am just curious ... was it in English? Emily: Yes, every student who is doing their dissertation, they have to write their works in English. And the seminars are given in English as well. David: So you were in Finland for about five years. Do you speak Finnish? David: I understand. I’ve had a similar experience with learning French. My frequent business trips to France didn’t help me much in language learning — some basic skills only. I wish I could take time to start regular lessons. Emily: Probably I needed more lessons in Finnish too. Anyway I decided to move back to Melbourne so I took the trans-Siberian train. Emily: Once I got back to Melbourne I started my post-doctoral research which was in a different field from heart problems, actually in the field of our immune system. David: Well, it is quite a different direction. What influenced you most? Emily: I think it was my previous working experience in London and my colleagues at the lab who encouraged me greatly to start this. So that was three years and that was in Melbourne. Then I just published the work and decided to travel. And the seminars are given in English as well. Peter: Hello, Jane. That’s right – you could not have possibly seen me here. I come round to change my books or look through some journals now and then during the term time, but that is it. The end of the term is different, of course. in proper schemes and tables but that does not seem to be helping much. ready for your exams? I bet you are! blacklist for not meeting deadlines with some of the essays. Источник: Демонстрационная версия ЕГЭ—2012 по английскому языку. Jerry is going to swim in the sea in Egypt. Kate: Hi Jerry. The school year is almost over. Do you have any plans for the summer holiday? Jerry: I’m planning on sleeping all day, every day! Kate: Oh, come on Jerry, you must be joking. Jerry: Yeah, I’m just pulling your leg. Actually, I’m going to travel to Luxor in Egypt. Kate: Really? Why would you go to Luxor but not to the Red Sea resorts? They’re much more popular tourist sites. Jerry: Exactly! They are very popular, so they’ll be too crowded. What I need is peace and comfort. I enjoyed my last year trip to Paris to see the Eiffel Tower, but there were so many tourists there. I think it spoiled the atmosphere a bit. Kate: I’m sure Luxor won’t be so crowded. But won’t it be too hot in the summer? Jerry: I’ll bear anything for the sake of the views of this ancient Egyptian city. And I rely on air conditioning inside — the hotel promises it works perfectly there. I wonder	... is there	anything worth seeing in Luxor? Jerry: Sure! For one thing, there’s the unique scenery of the city built directly on the Nile. I’m sure you’ve heard of Luxor Temple. There are also the Egyptian Pyramids which are said to be	spectacular. They are a major tourist	attraction,	aren’t they? Jerry: Come on Kate, there’s lots of things to do. I can take a river cruise on the Nile, and I will visit some excavation sites at Luxor as it is a very historical city with many ancient remains that are still amazing. Kate: Well, when you describe it like that, it sounds really interesting! Jerry: And that’s not all. I’ll be able to eat delicious, spicy food and enjoy swimming and sunbathing as they have a huge open-air swimming pool in the hotel. Kate: I’m sure you’ll have fun, Jerry, but let me ask you — have you already reserved a room at the hotel you want? I find last minute bookings very disappointing. Jerry: Don’t worry, I’m very lucky. I’ve reserved a room at the Pyramid Luxor Hotel, the best five stars resort in the area. I’ve seen some pictures on the Internet, it’s really nice! Kate: That’s great, Jerry. I’m looking forward to seeing your photos when you get back. ... enjoy swimming and sunbathing as they have a huge open-air swimming pool in the hotel. Sally: I would say there are many witty, eccentric, slightly twisted books out there. Of course I think there are undertones. There are so many undertones in fact that I’m afraid the Alice book may become too outdated and cryptic for today's children. Susan: I am not as familiar with the film adaptations as I am with the novel and musical interpretations. I quite like a music video that a friend of mine has done to the song “White Rabbit”, but I suppose my favourite Alice film is the Disney version. I think of it as a contemporary book that can be enjoyed for years to come. I hope my children will read the same cherished copy I read and my mother read before me. Jack: Hello, Mary! You look great and you have a wonderful tan! What did you do at the weekend? Mary: Hello, Jack. Well, my parents and I had a long drive to the countryside to Sherwood Forest. My father is very much interested in Robin Hood, you know. Then we had lunch in a vintage inn in the summer garden. It was fantastic! Jack: A vintage inn? What is that? Is it a kind of a countryside pub? Mary: Not really. Actually, there are a lot of them, close to many major sights in Great Britain. They may look village-like, but the standards of service are very high and the food is very tasty. Jack: I don’t find such places amusing. Besides, the prices there are usually huge. Mary: It is not cheap, I agree. At the same time, a lunch in London can be even more expensive indeed. Where else can you try a traditional pudding or delicious Cheddar Mash after all? Jack: Still, I do not see any point in driving miles from London just to have a light lunch. What will you do there except gazing out of the window across a village green or a natural pond if you are lucky? Mary: I cannot agree with you here, I am afraid. Vintage inns are generally located in places worth visiting like stately homes or historic villages or any other tourist attractions and many are close to enchanting walks. It is not only about a meal! As for staying indoors, as I said, most vintage inns have their own gardens and they are ideal to have lunch in in fine weather. That is where I got my tan anyway. Jack: Well, you seem to have managed to persuade me. Next weekend I am going to Cardiff. Is there a vintage inn close? Mary: There must be one. If you take a look at the map, you will certainly discover the closest vintage inn. Jack: It may turn out not as good as the one you visited last weekend, though. Mary: According to the travel brochure, every vintage inn is different, but they are all the same. They may have different designs and menus, but all landlords and landladies share the same passion for good food and excellent service, believe me! Jack: Ok, can you lend me the map? I am sure you took one in the inn you visited. Mary: You know me well enough! I will bring it tomorrow, I promise. 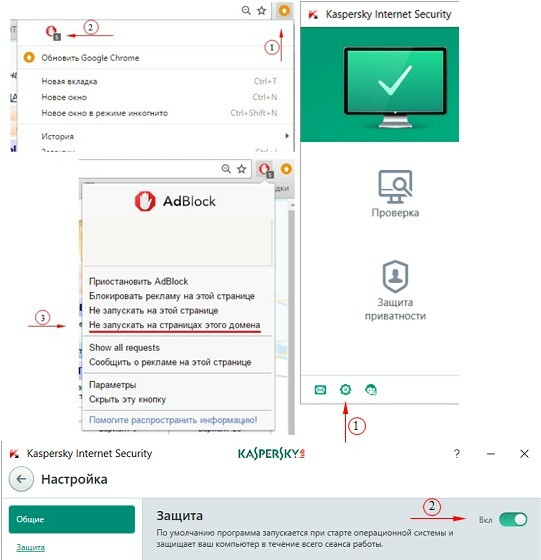 Нет информации, что только традиционная Британская кухня. There is a survey about selling	Valentines. Mary: Hey, John! Tomorrow is Valentine’s Day! Do you remember? John: Do I remember? I’ve spent loads of money on Valentine cards, to say nothing of postage costs! Mary: That’s funny! I thought one was supposed to buy and send a card to just one person. Isn’t that the point? John: It used to be, but I think not anymore. You are expected to send cards to teachers, relatives, neighbours ... This is ridiculous — but be ready for some caustic comments if you forget somebody from this list! People have completely forgotten the fact that there was a time when this holiday was close to being forbidden — I guess it was in 1969. Mary: That’s sad, but you are probably right. For example, have you heard that, according to the statistics, teachers receive the most Valentines, followed by kids, mothers and only then spouses or sweethearts? John: This doesn’t surprise me at all. Valentine’s Day is probably the second largest card-sending holiday in the world. Mary: Only the second? How come? John: I think you are missing Christmas, aren’t you? You know Hallmark employs 80 people every year to research the sales pattern of previous Valentines. That is big business for them. Mary: Much depends on clever advertising; that’s the fact. Do you know that in Japan after the successful campaign of a chocolate factory, women began to give men a box of sweets for Valentine’s Day? John: Never! I don’t believe it! At least lucky men in Japan don’t have to buy bunches of roses. Mary: A bouquet is important indeed. You don’t want to send mixed signals with it, do you? Mary: The colour of flowers, of course! Red can mean romantic love or just deep respect. Peach can tell a person of your gratitude or appreciation. Pink symbolizes perfection and black says farewell. Imagine you mix black and red or peach and pink. John: This is completely over my head. I doubt many people still remember these archaic rules. Mary: You never know! OK, I’ve got to go. See you tomorrow. John: All right. I hope you’ll have a card for me! You know Hallmark employs 80 people every year to research the sales pattern of previous Valentines. That is big business for them. Mary thinks that regular classes are rather time-consuming. Mike: I’m 39 now and I resumed my studies when my son started Grade One. Now I’m very happy that I made up my mind to do this. I’ll be graduating in April and hopefully start teaching high school English in September. Mary: What had you been doing before you went to university? Mike: I had been doing administrative work for 13 years, straight out of high school. I had got very tired and fed up with the low pay and the monotonous nature of the work. So I started university. Mary: That’s a right decision, indeed. As for me, I went to university at more or less the normal age. I was actually 21 at the time. But I did so miserably that the university suggested that I not return. Since then I’ve been basically wasting my time. Mike: And what are your plans? Mary: You see, one day I was fiddling around on the web and found some information about distance learning. It’s fabulous if you can’t take the time out to go to people-ridden classes, because you can work it around your own schedule. Mike: Yes, I think the fact that you can do the work in your own space and your own time is really helping. Mary: Of course, I will have deadlines to meet, but they’re not the same as the in-class sort. Handing things in doesn’t depend on anyone else’s office hours or class times, which is really handy. I will only have to contact my tutors when I want to or need to, or when I’m required to do an oral quiz or exam. Mike: I think it’s a very good idea. Going to university was the best thing I have ever done. I found it was more fun than I expected, and the benefits outweighed the disadvantages. I learned so much about myself, and I’m very proud of my accomplishments! Mary: And I expect my ability to study to be much better than it used to be and things come much more easily. While I still see doing some of the work as a chore, at least this time around I’m actually enjoying it. Jack thinks that we should respect the rules of other cultures. Tom: I was an exchange student in Denmark in 2005 and had an absolutely awful experience with my host family and my school. They weren’t the friendliest of people. Tom: That’s it. And in my very first week I got insulted by a bus driver when I was trying to clip my card. Of course it can happen anywhere, but it was a bit sad that no one batted an eyelid. Jack: It’s something I experienced as well, to be honest, but Scandinavians seem to be very sensitive underneath the shell. The harder the shell is, it seems, the more fragile underneath. It’s a new set of social rules we need to learn, I guess, when we go to a different country. Tom: You’re right, of course. And despite all my problems, I miss Denmark so much, it’s like having a constant stomachache. Jack: I know what you mean. There are things that I really love there. First, the tap water is drinkable. Then the Metro is gorgeous. It’s a pleasure to go by train, as the trains are cute inside. Tom: What is more, the sky is often starry, because there’s little pollution. The air is pretty good. The thing is, I haven’t been happy since I returned home to the States. I’ve gotten to the point that I consider myself more Danish than I do American. But I wonder if it will be difficult to make new friends. Jack: I have friends who live there now who say it’s quite hard to make friends or get into their circle. But, I think, it depends. Jack: Yes, and this will also give you enough time to get a visa. It’s a new set of social rules we need to learn, I guess, when we go to a different country. Carter failed his last exam. Carter: Hello, Holly. I need to talk to you. Holly: Hi, Carter. We’ve got about ten minutes before Professor Label comes. How can I help you? Carter: Holly, may I borrow your notes? I’ll give them back tomorrow. Holly: Sorry, but I usually go to the cafeteria and review them. Say, why don’t you copy them over in the library? Carter: Okay, I think I’ve got enough coins for the machine. You’re a lifesaver, Holly! haven’t missed any classes. Have you lost your notebooks? shop. After work, I come directly to school, and, boy, am I beat! Holly: Wow, you must be really exhausted! coming and I’m short of time. Holly: Well, here’s Professor Label; he’s about to start a lecture. How are you feeling? Carter: I’m usually awake at the beginning. But ten minutes into class and I have trouble keeping my eyes open. Holly: Listen, I need someone to study with, and you need someone to keep you awake; want to be study companions? Carter: Yeah, I’d sure appreciate it. Holly: Okay; let’s start today at the library. We should go there anyway. I'll have to grab a bite to eat in the cafeteria. I am hungry. Would you go with me? Carter: No, thanks. We have someone from the international center coming to speak to the students about extracurricular activities, so I’ll join you in the library. Oh, no, it looks like the Professor has brought along some more of his slides; push me if I start falling asleep. Holly: I’m afraid I won’t be very helpful; his slides make me sleepy too! Carter: Anyway, can you wake me up as soon as he finishes showing them? Holly: Okay. You owe me an ice-cream. Indian films are very expensive in making. Kelly: Hey, Peter, why don’t we go to the cinema together over the weekend? Peter: I don’t like cinemas. There are crowds of people with pop corn and soda, and mobile phones will go off every now and then. It is difficult to concentrate. I would rather rent a DVD. Kelly: Good idea! Let’s watch this new Indian film which was released last month. Do you like Indian films? Peter: I have never watched a single Bollywood film before so I really do not know. I hear they are very long and boring. Kelly: I will agree with you about the length but this is because of the amount of the song material. Besides, it a cultural thing — when Indians go out for an evening’s entertainment, they nt a saga, a drama, a life story — all in one and with some comical episodes as well. It is problematic to put all these aspects into 90 minutes, you know. Peter: I see. Well, I guess singing and dancing must be a great strength of Indian commercial cinema. When actors show extreme emotions, just facial expressions may not be enough. Kelly: Exactly. Songs and dances make the message loud and clear. Of course, it’s not real — after all, who breaks out in synchronized dances with many extras when one is happy? But this is a characteristic of Indian cinema. Peter: What is the main theme of Indian films? Kelly: Well, India cannot be considered a rich country but movies show an image of the upper-middle or rich classes. Most Indian people live a life which is completely different from what is there on the screen. This makes these films so attractive and bright. Kelly: I say, Peter, you mentioned “Bollywood films”. What do you mean? Peter: Don’t you know? It is one of the largest film producers in the world — three films a day are finished there, which makes it about a 1000 films a year — can you imagine? The name is a combination of Bombay where the studio is situated and Hollywood. Kelly: I didn’t know that! So, what is your decision? Peter: Well, let’s go to the rental shop, shall we? Star fans are not happy when a rock star appears too often on TV and in movies. The Lifestyle of a Rock Star. Interviewer: Around the world young people are spending unbelievable sums of money to listen to rock music. “Forbes Magazine” claims that at least fifty rock stars have incomes of between two million and six million dollars per year. Today we’ll discuss the lifestyle of rock stars with the person who knows all about it, MTV producer Jack Jackson. Jack Jackson: “It doesn’t make sense,” says Johnny Mathis, one of the older music millionaires, who made a million dollars a year when he was most popular, in the 1950s. “Performers aren’t worth this kind of money. In fact, nobody is.” But the rock stars’ admirers seem to disagree. Those who love rock music spend about two billion dollars a year for records. They pay 150 million to see rock stars in person. Interviewer: Some observers think the customers are buying more than music. Jack Jackson: Absolutely. Rock music has a special appeal because no real training is needed to produce it. There is no gulf between the audience and the performer. Every boy and girl in the audience thinks, “I could sing like that.” So rock has become a new kind of religion, a new form of worship. Young people are glad to pay to worship a rock star because it is a way of worshipping themselves. Jack Jackson: Well, records provide only part of a star’s income. Around the world young listeners soon want to see the star in movies, on television, and in person. Neil Young, who performs in torn blue jeans, sometimes sings to an audience of 10,000, each of whom has paid at least fifteen dollars for a ticket. After paying expenses, Young leaves with about $120,000 in his pocket at the end of an evening. Interviewer: How do the rock stars use their money? What do they do when the money starts pouring in like water? Jack Jackson: Most young stars simply throw their money around. England’s Elton John gave someone a $38,000 Rolls-Royce automobile and bought himself a $5,000 pair of eyeglasses that light up and spell E-L-TO-N. He also bought himself two cars, “one for each foot.” In the end, a rock star’s life is unrewarding. After two or three years riches and fame are gone. Left with his memories, and his tax problems, the lonely ex-performer spends his remaining years trying to impress strangers. New stars have arrived to take his place. Betsy led an active life on the island. Helen: How was your holiday, Betsy? Betsy: It was great to get away to somewhere warm. I hate spending the New Year in a cold climate. Helen: So, where did you go then? Betsy: To the Canary islands. We flew to Tenerife. Helen: Oh really? Did you get a charter? Betsy: Yes, it was a package holiday, which included the flight and hotel. It was really good value. Helen: So, where did you stay then? Betsy: In the south of the island. We stayed in quite a nice hotel right near the coast. Helen: I think, I read somewhere that the beaches in Tenerife are black. Is that right, Betsy? Betsy: Yes, that’s partly true. They’re striped-white and black. The black sand is from the volcanoes and the white sand is from the Sahara desert. Helen: From the Sahara desert?! Betsy: Yes. The island’s in the Atlantic Ocean, near Africa. Helen: Oh, I didn’t realize that. So, it was pretty hot then? Betsy: It was fantastic. Warm enough to swim in January. Helen: So, you spent most of your time on the beach then? Betsy: No, I also went on lots of trips. One trip to the mountains was incredible. The views were unbelievable!!! I also visited a really beautiful zoo in the mountains. It specialized in wild birds which flew free. I’ve never seen anything like it before. Helen: Sounds marvellous. Are the mountains covered with snow at that time of the year? Betsy: It’s not cold enough for that. Helen: So, you’d recommend it as a holiday then? Betsy: Yes. Sure. It’s a tremendous place for a winter break. I’d recommend it any time. Helen: Oh, I forgot to ask. Do they speak Spanish there? Betsy: Yes, the natives of the island speak Spanish, but nearly everybody speaks some English and a lot of English people actually live there. They have holiday homes there. Helen: So you had no language problems then? I also went on lots of trips. One trip to the mountains was incredible. The views were unbelievable!!! I also visited a really beautiful zoo in the mountains. Betsy forgot about her classmate’s birthday. Alex: So, how was your weekend? Did you do anything interesting? Betsy: No, not really, but it was nice to have some hot weather for a change. Alex: Yeah, it was great, wasn’t it? Were you out much then? Betsy: I went to the beach on Saturday with some friends. We went scuba diving just off the coast. My friend’s dad is an instructor at a diving club and he lent us all the diving equipment free of charge. We did a bit of sunbathing after that to warm up, because the temperature of the water was quite low. So what did you do? Alex: I had to work on Saturday. I’ve got a Saturday job stacking shelves in the local supermarket. I was absolutely shattered at the end of the shift, which finished after nine o’clock at night. Betsy: That’s late. I hope the pay’s good, if you have to work that late. Alex: The pay’s not too bad and there are quite a few perks with the job. I get a twenty per cent discount for instance, on every purchase I make. So I don’t mind working late once a week. There was still time to do something after work, though. I went to Tony’s birthday party afterwards. Nearly everybody from our class was there. Why didn’t you come? Betsy: Well, I was planning to, but we decided to stay late on the beach and have a barbecue. It was great. We also played some really good music. Yes, we all had a good time and stayed there quite late. I didn’t get home till past midnight in fact. Alex: Yes, the party went on quite late as well. A lot of people stayed overnight, but I went home at about two in the morning. I had to get up quite early on Sunday, because my grandparents were coming round for lunch. And what did you do on Sunday? Anything special? Betsy: No, not really. I got up quite late and just sat around for a couple of hours reading the Sunday papers. It was good to stretch out on the sofa and read in peace and quiet. I had to do some work on my geography project then. That took a couple of hours and then I had a few friends round and we just sat and chatted and listened to music. I was pretty tired after the party on Saturday night. I went to Tony’s birthday party afterwards. Alice is inexperienced in making electrical repairs. Alice: I’m just going to the shop to get a few bits and pieces. Do you need anything? Dad: You couldn’t pick up a half a dozen litre bottles of carbonated water could you? Alice: I would Dad but I am going by bike and I can’t get anything heavy. It’s more a case of anything small and urgent — then I’m your girl. Alice: More urgent for you than for me. But no problem, batteries: Anything else? Dad: I think we are pretty low on toothpaste and maybe soap. Do you want to check? Alice: I checked already and we have plenty. Alice: I am not sure if I can get those from the shop on the corner. Probably it will be necessary to go into the centre of town. Dad: Why don’t we both go? I’ll take the car and then we can stock up on some of the heavier things like water, fruit and veg. Alice: You haven’t looked outside have you? There’s been an accident at the top of Gardner Street. The police have now closed it to cars and set up a diversion but the traffic is at a complete standstill. The only way to travel just now is by bike or on foot which is why I am going to cycle there. Dad: I didn’t realize. Was it a bad accident? Alice: They say on the radio news that nobody was hurt but 5 vehicles are involved and they don’t expect the road to be open again until later this evening. Dad: Be careful on the bike. The traffic may be at a standstill but there are always a few drivers who go on pavements and similar stunts. Have you asked your Mum or brother if they need anything urgent? Alice: I asked Mum but she doesn’t need anything. Michael’s still not home from college. James thinks Katie’s brother made a better choice. James: So are you glad we came? Katie: I really am. Nice is so nice. James: Ha-ha! Do you really like it here? James: Especially being here with me — right? Katie: Not only that. Actually I think Nice is one of the most beautiful cities in Europe. If I were French I would want to live and work here. James: You prefer Nice to Paris? Katie: Definitely I do. I hate Paris anyway. It’s overrated, expensive and it smells. The air is better here and the climate is nicer. And — a few further significant bonuses — it’s by the sea, beautiful countryside is close by and yet it is still a perfect small city. If I lived here I would have an apartment just off the Place Massena and every evening stroll the Promenade des Anglais. James: You think this holiday was worth seven weeks working in that department store? Katie: Yeah — but I did think about my brother quite a bit. He was doing that volunteer computer thing. Katie: What have you done? James: I have booked the best table at La Cambuse. Katie: Jamie, we can’t afford to eat there! James: Probably we can’t. But we will. I keep telling you. Now is our time for experience and memory. It is going to be amazing. And afterwards we will briefly visit the Sari Bulldog and then finish the night at Club 54. Katie: And see the sunrise on the beach again. Well, we only have two days left to starve! Let’s do it. James: You are catching on girl. There is no doubt in my mind that we made the best choice. Paul refused to take Fred as his trainee. Ivy: Thank you so much Paul. I can’t believe it. I can use e-mail! I can down load files! I can go e-shopping! It’s like a whole new world. Paul: Ivy — the pleasure is all mine. I told you it would be really easy. Ivy: I know you did. And I said to my husband Fred I’d never manage to switch on a computer let alone use it. And he turned round and said to me “You listen to that Paul. He’s alright he is”. And he was dead right. Guess what! Fred wants to have lessons as well but only if he can have them with you. Ivy: What’s on the course in the autumn? Will you still be here? Paul: I’ll be back to college in September but I’m still planning to do one evening a week here. So are my sister Katie and her boyfriend James, so you’ll have plenty to choose from. Ivy: You’re my choice Paul! So what do you think I should study next? Paul: Well, you’ve completed the beginners course, Ivy, and the logical next step is the improvers’ course. But in my opinion you now know enough to go straight to a higher level. You can take the CLAIT course and get a diploma. Or you can stretch to Office Skills and Administration which is a bit tougher but it will really improve your chance of getting a job. Ivy: Oh I can just see me. Keen young 57 year old secretary! Paul: You are not too old Ivy. If you get the right qualifications you could be earning a decent salary next year. Ivy: Which course will you be teaching in September? Paul: I’ll be doing CLAIT every Wednesday evening. Ivy: Then I’ll begin with CLAIT. Paul: And you can always do the Skills course in January. It might well be the best route. Ivy: Where do I sign? Paul: Just tell Frances in reception and she’ll get you registered. It would be a privilege to teach your husband Ivy. I am sure he’ll be as bright a star as you are. In the summer Paul will work individually with every trainee. Katie: You are going to work all summer as a volunteer? Paul: Yes. It’s really exciting. I can’t wait. Katie: Let me see now, that’ll be no money, no time off and no summer. I can only see positives! Paul: Ha-Ha, how witty you are, very funny. Is it worth even trying to explain to a summer department store worker such as yourself? Katie: Steady on brother! OK — tell me about it. I am all ears. Katie: Paul — there is no excuse nowadays for anyone not having basic computer skills. Katie: I get the picture. Go on. Paul: I’ll be in a training centre, giving one-to-one tuition to people whose lives might really change for the better. I did one evening a week last term and loved it. Now I have a whole summer. Katie: Well I will work 7 days a week for most of the summer. And then I am going to the south of France with James and we’ll have the summer holiday of our lives. Paul: That’s great Katie. Don’t think I don’t approve or even that I am not a tiny bit jealous. I am not a saint and actually in a sense, we are both taking the same option. Paul: You, dear sister, and I are both choosing exactly what we want to do this summer and really, we are making that choice only for ourselves. Katie: Well — I still think you should get a halo. I’ll be in a training centre, giving one-to-one tuition to people whose lives might really change for the better. Alice would quite like to see the film about The Doors. Alice: Hi Michael. How was your day? Michael: College was OK but it was a nightmare driving home. How was yours? Alice: Boring — but I was really glad of my bike when I came home. I cycled through the park. It was a bit longer than usual — maybe 25 minutes. Michael: And for me it took almost 4 hours. There was an accident in Gardner Street I was supposed to have a free afternoon and I was going to play tennis. Alice: The traffic is still bad now otherwise I might have gone to see “Avatar” at the cinema. Michael: Is that the 3D film? Alice: Yes. Actually I have seen it twice before but the 3D effect is so impressive on a cinema screen. I doubt I’d ever watch it on DVD at home. Anyway — there’s no chance of going out anywhere this evening. At least we can watch TV. I managed to use my bike to get to the corner shop and pick up some batteries for the remote. Michael: Have you looked to see if there is anything on worth watching? Alice: I checked the TV guide and to be honest there is nothing much worth watching tonight. There is a film I’d like to see about Jim Morrison and The Doors. I forget its name. But it starts rather late so I think I’ll just record it and get an early night. Michael: It’s called “The Doors” and I have it on DVD if you want to watch it earlier. It’s a really good film. I might watch it again with you. Alice: On the other hand I might take the opportunity to make some progress on my dissertation. What joy — another couple of thousand words on political references and codes in Shakespeare. Michael: Wow — that sounds like fun! Alice: Have you had any more luck finding your new “green” vehicle? Michael: I was thinking of a metallic red actually. Michael: Well I am thinking about it still. I am still not sure if I can afford it or not. But I am going down to the show room next week for a test drive and to see what sort of deals they can offer. There is a film I’d like to see about Jim Morrison and The Doors. The Household Cavalry Museum occupies a part of Windsor Castle. Anything else I could see apart from Windsor Castle? Receptionist: You may stroll to the Household Cavalry Museum. Источник: Демонстрационная версия ЕГЭ—2013 по английскому языку. David has to read 78 pages from the history book. David: Hi, Paula. It’s really so sweet of you to drop in on me today. I’m so lonely here at home. Not being able to attend school. Thank you so much for not forgetting me. Paula: That’s fine. I missed you so much too! Everybody does. You look so much better than you sounded on the phone. I hope you are getting better? David: You really never know with this nasty colds, but I do feel good. Doctor said I’ll be ok in a few says. Ready to come back to studies. I tired thinking about of how much I have to catch up. Paula: You shouldn’t, really. You’ll have to write an essay, that’s true. But the part of that is pretty much simple reading and you can start doing that right after I leave. David: So you think I shouldn’t worry? David: What should I star with? What can you advise me? Paula: Well, if I were you, I’d start with history. You’ll have to read two chapters of the book: numbers seven and eight. These are about science and religion in the 18th century. Then you’ll have to write an essay, comparing those two in the past and modern times. That’s seems the most difficult, I guess. David: Take it from me. It does sound impossible. Paula: No. Believe me, as you progress with your reading, the structure of the essay will become clearer. Then there are some French exercises. But French has always been the strong point of you. So it should be a piece of cake for you. David: Still. I’ll do the exercises. I need extra practice anyway. Anything else I need to do? Paula: There is an article to read for biology. Our teacher gave us also copies. David: But I don’t have one! Oh my God! Where I’m going to get mine from? Paula: Don’t panic, please! Here you go. I took one for you. David: Paula, you are a star. Paula: Thanks. After reading it, you must write down three most important ideas in the article and submit your work in written form to the teacher. Paula: That’s ok. I think I have to go now. You are probably still week and I mustn’t disturb you. Take care! David: You too! You too! Источник: ЕГЭ по английскому языку 06.06.2013. Основная волна. Дальний Восток. Вариант 1. Peter did exercises with the map at the blackboard. Peter: Hi Lucy! You weren’t at school today, what is the matter? I was worried about you. Lucy: Hi, Peter! It’s nothing serious actually. I just felt a bit sick at the morning, so my mum let me stay at home. Peter: You poor thing! And are you feeling better now? Lucy: Yeah, much better, thank you. I guess it must have been that pizza that I ate yesterday. That was the reason for my stomachache. I had too much. But now yeah, I feel all right. I think I won’t miss any more lessons this week. Peter: But you haven’t been to the doctor’s office, have you? Won’t you have problems with school because you missed classes? When I was ill for a month I put a medical certificate for school. Lucy: Well my mum called our class teacher so I don’t think there will be any problems. Besides, we don’t have many lessons on Wednesdays. How was geography, by the way? Did you take a test? Peter: Oh no, we didn’t. But we revised the material for the test. The teacher asked several people to do exercises with the map of the UK at the blackboard. And then we had a sort of contest in groups when we had to find different mountains, rivers and lakes. The quicker – the better. That was fun! And we also checked our homework and asked the teacher questions if we’re not sure about the answers. You know, I feel well prepared for tomorrow’s test now. Lucy: Wait a second: are we going to take a test tomorrow? I can’t believe it! Peter: Yes, our teacher said that we’re starting a new topic next week, so we have to finish this one tomorrow. Do you need any help with geography? Lucy: Hmmm... If you can lent me your exercise book with notes and checked homework. That would save me hours. Peter: I’m afraid I can’t give you my exercise book right now, because I have to revise the material for the test myself. But if you call me in two hours, we could probably study for the test together. Lucy: Sounds like a great idea! And thanks so much for offering the help. It’s so nice to have a friend like you. Peter: No problem. See you later then. Bye for now! Источник: ЕГЭ по английскому языку 06.06.2013. Основная волна. Сибирь. Вариант 1. Katy has some chores to do in the evening. Katie: Hello Mike, how are you? Mike: Hi, Katie. I’m ok, thanks. Hey, do you fancy going to the movies tonight? Katie: Why not? It sounds great. I haven’t been to the movies for ages I guess. And.. what’s on? Mike: It’s “Men in black 3” in 3D. All my friends are absolutely crazy about it. Katie: Everybody seems to have watched it except me. I’d love to see it. Mike: Good. It’s a date then. I’ll pick you around about 6:30, if you don’t mind? The film starts at 7:00. Katie: Fine, I’ll be ready. Waaaait, I completely forgot a have a test tomorrow. I’m afraid I can’t go after all. Mike, I’m so sorry. Mike: But you’ve got plenty of time to revise. Katie: Yes, I know, but math has never been my strongest point, besides the test is rather difficult and I’ve missed the couple of lessons. So, it doesn’t seem very easy for me. Mike: Do you want me to help you with your math? I can come in an hour or so and try to explain to you what we’ve cover when you were ill. I’m not a math geniuses but is seems like I haven’t got any problems with it. Katie: That would be nice indeed. But still, I’m not sure I’ll be free by 6:30. Dad asked me to walk the dog and take my younger brother from the kindergarten at 5. Sorry, Mike. Maybe some other day. Mike: No problem. What about Tuesday? Katie: On Tuesday I agreed to meet with Ann. Susanne is having her birthday party on Wednesday and we decided to buy something nice for her. Mike: Oh really? What do you want to get? Katie: I was thinking about a book of yoga. She is keen on sports. And lately she’s been taking a yoga class. She’s may been interesting in to learn more about meditation stuff and different meditative states. Mike: Not bad. Well, you are going to a birthday party on Wednesday, aren’t you? Katie: Exactly. But we can watch a movie on Thursday, what do you think? Mike: Well, I don’t have any plans for Thursday so far. The only thing that I’m worried about is will be on then. I think today is our last chance. Katie: Anyway, today won’t do. Mike: Look: I’ve got an idea. I can buy a DVD with any other movie you’d like to watch and we can watch it on Thursday. Katie: Awesome. Let’s do it! Источник: ЕГЭ по английскому языку 06.06.2013. Основная волна. Урал. Вариант 1. Kate's friend was born in Peru. Tom: Hi, Kate. Kate, earth to Kate! You’re obviously so deep in thoughts. Are you lost in your dreams? What are you thinking about? Kate: Oh, hi Tom! Sorry, I didn’t see you. Actually I was thinking about a present for my friend’s birthday. Tom: This shouldn’t be much of the problem for you. You are always so creative for the presents. Kate: Thanks for the compliment, but the point is, I don’t know this person very well, so choosing a present for her is tricky. Tom: How can it be that this is your friend and you don’t know this person very well? How can be possible? Kate: I know it sounds strange, but this is my pen friend actually. Tom: That explains it. How did you find her? Kate: Well, she is from Peru and we have just started communicating. I found her profile on facebook. I got a message saying that she has her birthday in two weeks; I thought it’d be nice to give her something on such a special occasion. Tom: Ok, I see. What about giving her CD? This shouldn’t be so hard to ship to Peru, and music is universal, you know. Kate: A great idea! But I don’t know what she has or hasn’t in her music collection, do i? Tom: Oh, that’s pretty easy. You can give her a disc of our local music, she can’t have that. That’s for sure. Kate: Super! You’re a star! Tom: Just keep in mind what styles she generally prefers. Do you have any information on that? Kate: I saw it in her profile. If I remember correctly, she likes calm, romantic music. Does that mean that she is a quite person? Tom: Not necessarily. She might be just the opposite. Very talkative and easygoing. Kate: You know, I believe, persons character is reflected in what music he or she likes. Tom: I think so too. But the connections can be very unexpected and inexplicable for my mind. Kate: All right. Now I need to go to a music shop and choose something. Tom: Shall I help you? I’m absolutely free and I know all the local music really well. I can help you choose. Kate: Really? That would be great! You could also help me choose something for myself, I think my collection needs new items. Tom: Good idea. Let’s go then. Источник: ЕГЭ по английскому языку 06.06.2013. Основная волна. Центр. Вариант 1. Источник: ЕГЭ по английскому языку 06.06.2013. Основная волна. Урал. Вариант 2. Источник: ЕГЭ по английскому языку 06.06.2013. Основная волна. Урал. Вариант 3. Mrs French wants both of her bathrooms to be redecorated. (Woman aged about 40): Hello, is that Mr Harris? (Man aged about 40): Yes. Woman: It’s Mrs French here. From Oak Avenue. You did a lot of work for my next door neighbour last year, Mrs Green. I was wondering if you were free to do some work for me sometime. Man: Let me look at my diary. This week I’m painting a house and next week I’m converting an attic into an extra bedroom. But I’m free in two weeks’ time. What do you need doing? Woman: Oh, lots of things! The most important are the windows. They’re very old. I’d like some new, plastic windows. Man: I’m sorry. I don’t do windows. I can recommend someone, though. A very good worker and very reasonable. I can give you his phone number, if you like. Woman: Oh, thank you. I’ll just get my pen. Man: The number is 0133 76453 and his name is Paul. He’s often booked up a long time in advance. The sooner you phone him the better. Woman: I’ll phone him today. The other main job I want done is to redecorate the upstairs bathroom. I had some other workmen in to redecorate the downstairs bath¬room. They did it nicely but they took ages and made a mess in the house. Woman: And I’m thinking about making some changes to my garage but I’m not sure exactly what. I’d really like you to have a look at it and give me some ideas about what could be done. Woman: And then there are some small jobs that my husband should have done but hasn’t got around to. Things like putting up shelves and changing the lights in the children’s bedrooms. I’ll probably think of lots more things before you get here! Man: Right, well I can come round one evening after work and have a look. Then I’ll be able to tell you exactly how long it will take. How about Wednesday at about 6pm? Woman: Thursday would be better. My son has tennis lessons on Wednesday and I have to collect him at about 6.30 so we wouldn’t have much time. Man: Well, maybe Thursday, then. Woman: Thursday’s fine. My husband won’t be at home but he doesn’t take much interest in the house anyway so that’s no problem. Man: See you on Thursday. Goodbye. The other main job I want done is to redecorate the upstairs bathroom. I had some other workmen in to redecorate the downstairs bath¬room. It is NOT safe to leave things in the birthday room during the film. Man: Good afternoon, Central Entertainment Cinema Centre. Woman: Hello. I’m phoning about your birthday specials. Man: Oh yes? Would you like to book one? Woman: Well, what does the special consist of exactly? Man: You have the use of our party room for one hour. Then there is a half hour tour of the cinema to see how everything works and then, of course, a film. Woman: What food is there? Man: Oh there isn’t any food. You can bring your own food and drink and we can provide plastic plates and cups for a small extra charge if you wish or you can bring your own. Woman: And what about when the film is on? Where can we leave all the plates and presents? Man: The room is yours until half an hour after the film finishes so you can leave everything there. The door is locked so you don’t have to worry. Woman: It sounds great. How much does it cost? Man: It’s £30, plus £5 per child up to a maximum of ten. Woman: Do we have to pay in advance? Man: You have to pay the £30 for the room at least a week in advance but you don’t have to pay for the children until the party itself. Woman: It all sounds very reasonable. My son’s birthday is on Thursday June 10th. Could I book the special for the Saturday afternoon? The 12th. Man: I’m sorry. Saturday 12th is already fully booked. Friday 11th in the evening is free or Sunday 13th in the afternoon. Woman: What time on Friday? Man: The film starts at 7.30 so the room would be available from about 6pm. Woman: What film is it? but we would recommend that children under eight may not enjoy it. Woman: My son is 12 so that’s perfect. Can I book now and tell you how many children will be coming later? Man: You can certainly book now but you don’t have to tell us the number until the day. As long as there are no more than ten children in total. Woman: And how can I pay? Man: You can come to the cinema at any time when the box office is open or you can pay online. All the details are on our website. Woman: Lovely. Thank you very much for your help. The door is locked so you don’t have to worry.